It was such a refreshing change to actually have a house with separate bedrooms that could accommodate a group of people comfortably. As our group only ended up being 3 (from 10), Cheiko's house was more than ample as 3 of the rooms were not used at all. The added touches of extras within the house was appreciated - such as portable wifi (which we did not need to use as we organised our own) and a kitchen full of utensils. The lounge / dining kitchen area was open plan with plenty of space and so it was easy to keep involved with conversations for those that ended up cooking. The downstairs bathroom area was large with plenty of room. The walk to the Sakurashinmachie station from the house was 15 minutes with the supermarket along the way. We did not have a chance to enjoy using the bicycles at the house as the weather was a bit cool. Cheiko kept in touch with us via WhatsApp and made sure all was ok during our stay. The neighbourhood was quiet which we really liked. We should certainly come back here again when we return to Tokyo. Thank you Cheiko for the great time we had at your house and would fully recommend it for large groups of people wishing to have a unique stay in Tokyo. We had an excellent stay in this beautiful house. Very good and friendly communication with the owners. We stayed there as a family (with adult children) and thoroughly enjoyed it. Very much recommended! Our family of nine (three generations) stayed here very comfortably for a week. The location was great - about a 10 minute walk to the station and then a few stops to Shibuya station. There are good restaurants near the station and on the way to the house, including a good soba place and a surprisingly good pizza place. The house was very clean, and we had plenty of seating. The kitchen was well stocked and the beds were comfortable too. Overall we were very happy with our stay! The house itself is really spacious, especially for Tokyo. We were 6 adults and 3 children and there was plenty of room for all. The facilities were all clean and modern, AC worked a treat especially during the hot humid days. Also quality linen and towels which was a nice touch! The house is located in between Kamimachi and Sakura Shinmachi stations in a super quiet neighborhood. We used Sakura Shinmachi station the most - it's a ten minute walk (longer if you have kids in tow as we did). There were lots of shops that we only discovered on the last day heading left out of the north exit so be sure to have a look (you need to head right out of the north exit to get to the house) Overall, we had a really great stay and we would definitely recommend this place for large groups in Tokyo! The experience was wonderful from top to bottom. No complaints! 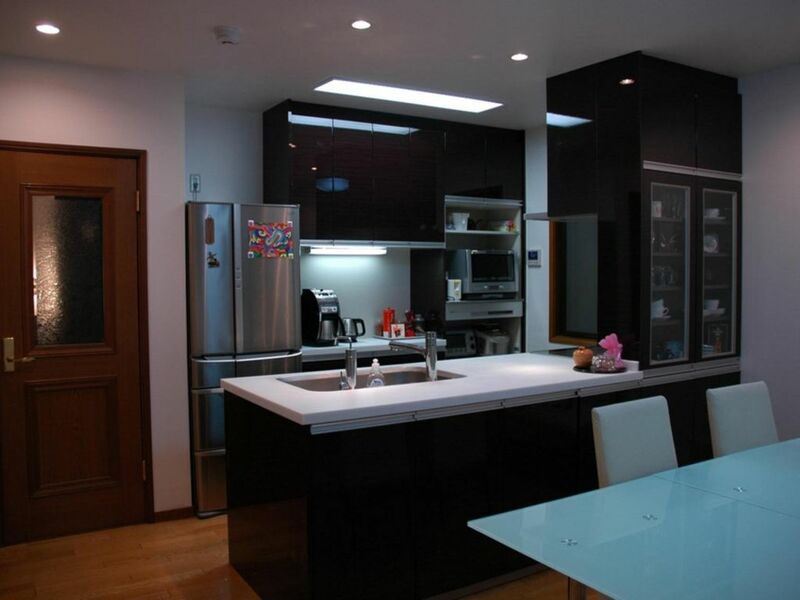 This is a wonderful home, located in a quiet neighborhood yet close to subway stops and the rest of Tokyo. Our family spent only 2 short days here but it was perfect for our needs. Multiple bedrooms and sleeping options, a modern kitchen and home and best of all a very conscientious and responsive host, Chieko. We spent quite a bit of our time strolling through the neighborhood and visiting several smaller parks and a shrine, shopping at the local stores for food and also coffee/snacks. Everything was within walking distance and the local people were very kind and helpful. We had no issues in trying to be self-sufficient. Chieko was a great host and went above and beyond in making sure our first stay in Tokyo would be memorable. Despite the short notice and high demand during the cherry blossom season she managed to arrange for pickup, 2 tours and airport transportation for us. Our family had a great time and this home is definitely a gem for those looking to experience a quieter, relaxed Japanese neighborhood yet are only a short subway ride away from the rest of the experiences that Tokyo offers.